Read this book and you will never view reality the same way again! Mainstream science argues that if something can�t be touched, measured, quantified, and duplicated in a laboratory, then it doesn't exist! According to this worldview, reality is an unconscious, non-personal mass of matter, which leaves no room for the existence of spiritual or unexplained phenomenon. But is that all there really is to reality? Marie D. Jones and Larry Flaxman don�t think so, and after reading this book, neither will you! 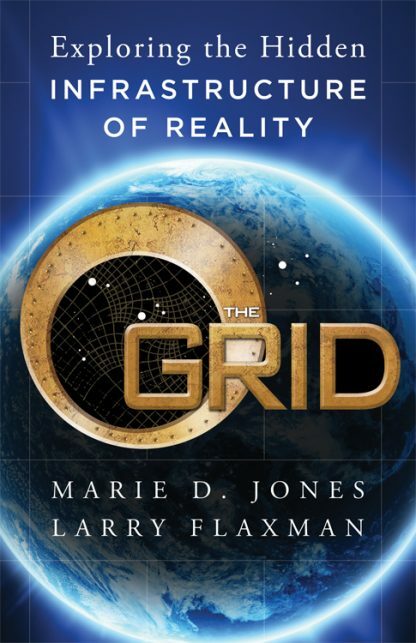 In The Grid, paranormal investigators and best-selling authors Jones and Flaxman present their theory of the Grid, a divine superstructure that includes multiple levels of existence, the entirety of which make up our reality. Imagine a towering skyscraper with numerous floors, where each floor represents a different �level� of existence. Matter, spirits, angels, ghosts, extraterrestrials, quantum physics, biology, neuroscience, religion, metaphysics�even paranormal studies�all have their place in the Grid. And once you have an understanding of the many floors of the Grid and how they are connected, you will learn all the possible ways you can �take the elevator� to access them, such as developing your psychic abilities, deep meditation, out-of-body experiences, and even the use of psychoactive drugs! Jones and Flaxman will show you how to release the limiting belief that �this is all there is� once and for all by exploring the Grid, expanding your awareness, and empowering your life in the process. Reality, dear friend, will never be the same again.